B.A. in Cello Performance and B.S. in Chemistry from University of Maryland. 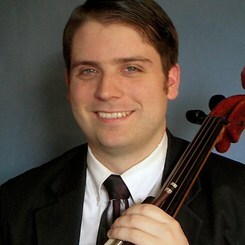 Performance experience as Principal Cellist of the Washington Metropolitan Philharmonic, Member of the Edwin Trio and the Friday Morning Music Club, and in venues including the Strathmore and Kennedy Center. Over 10 years private teaching experience. Request Lessons with Ryan today!